If you haven’t heard of Wiko before, that may be because it’s a French startup that has been providing affordable devices to people in France, Spain, and emerging markets, such as countries in Africa. The startup has been around for five years, and while its devices are not exactly flagship offerings, there are some interesting features on their goofy-named smartphones at Mobile World Congress that are worth a look — such as a customizable fingerprint sensor and a glow in the dark body. 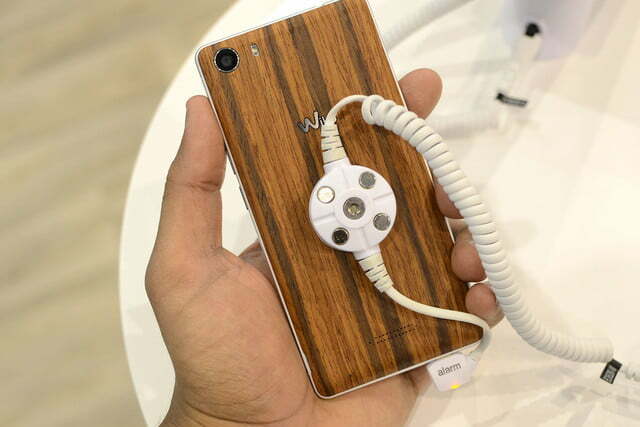 Wiko’s uFeel phone is not the most powerful, but it really caught our eye. 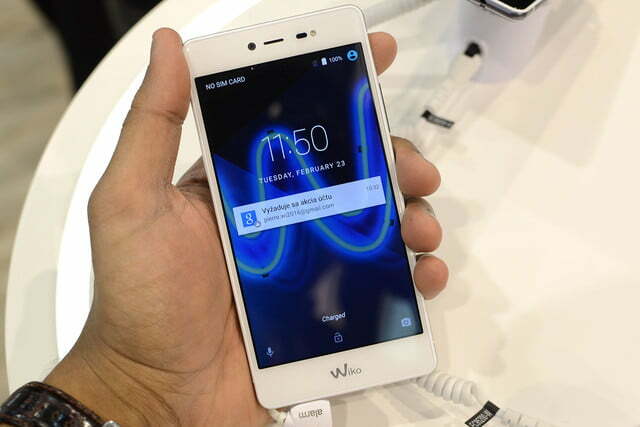 It has a fingerprint sensor that does more than just unlock the phone and make payments with Android Pay. 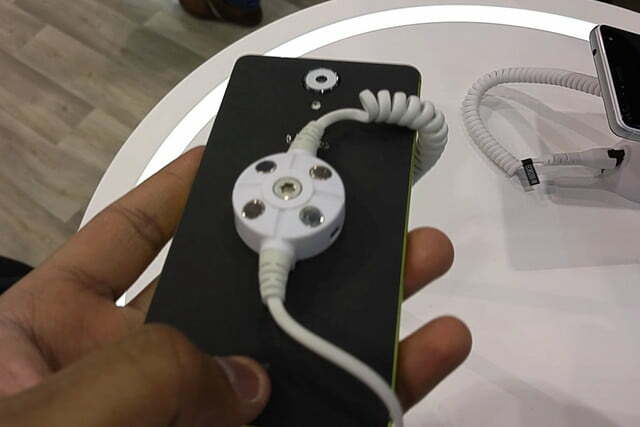 The uFeel has a fingerprint sensor on the bottom of the device, but it doesn’t act like a button. You can set five different fingerprints to instantly perform specific actions, like using your index finger to go directly into the camera app, even when the phone is turned off. You can customize which app you want to launch with each finger, the max being five. You can also set apps to lock themselves with the fingerprint sensor. So if you are wary about handing your phone to someone, just lock the apps you don’t want them to be able to open. That way, those apps will require your specific fingerprint to open, but the rest of the phone is free to peruse. 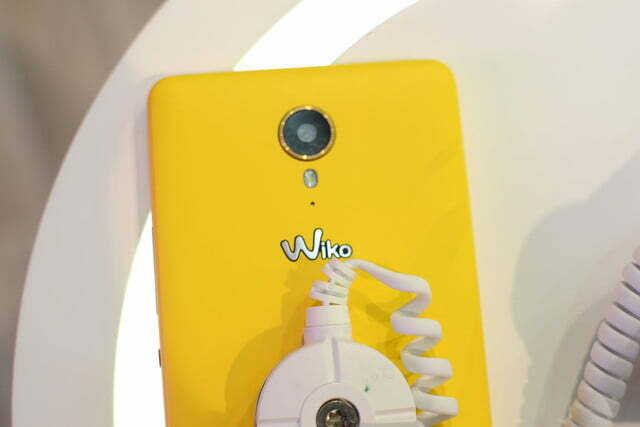 Sliding your finger to the right on the scanner also acts like a Back button, and Wiko says it may hide the navigation buttons so you can completely navigate your device with just the fingerprint scanner. The most interesting use of the scanner is the Encrypt Box: it’s an app that you can use to store pictures, files, videos, and music that you don’t want other people to see or access. For example, moving photos into the Encrypt Box will make them disappear in the Gallery app. You can view them in Encrypt Box, but you also need to use your fingerprint to access the app. 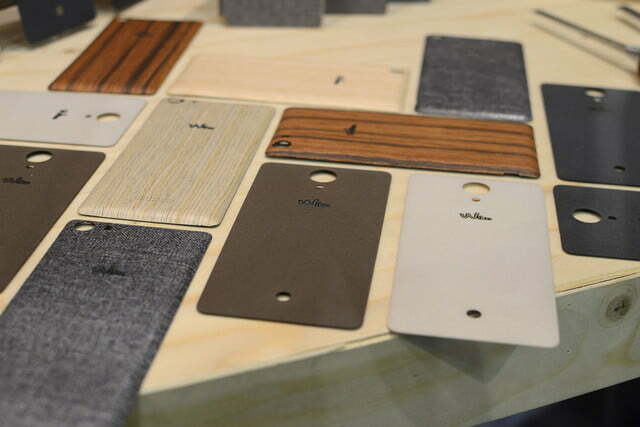 The uFeel comes in several colors, but it has a soft sandstone back that really feels nice. 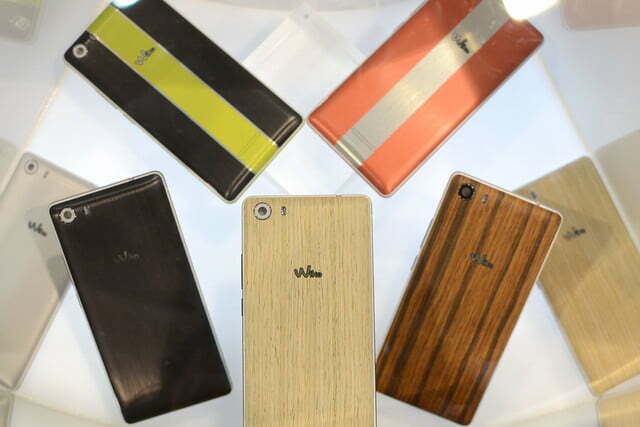 Wiko also has a “lite” version of the uFeel, which has 2GB of RAM, and a lesser 8-megapixel rear camera. 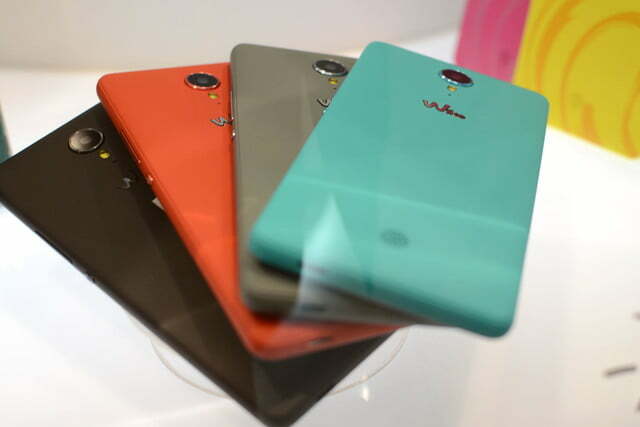 Spec-wise, it’s clearly on the middle-to-lower end of the spectrum for Wiko. 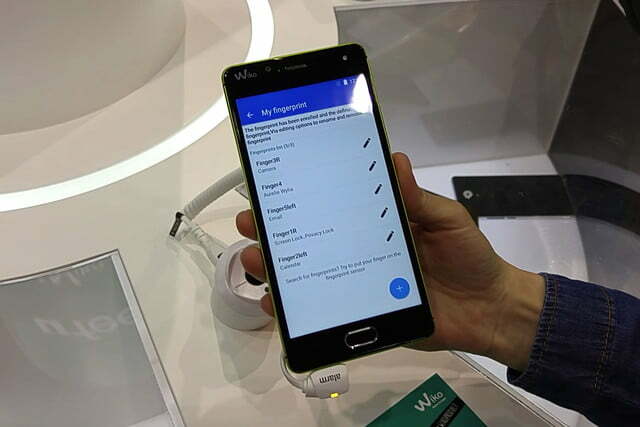 The 5-inch HD IPS LCD screen is powered by a quad-core processor, with 3GB of RAM, and 16GB of internal storage. You can increase your storage up to 64GB with the MicroSD slot, and the smartphone has dual-SIM support. 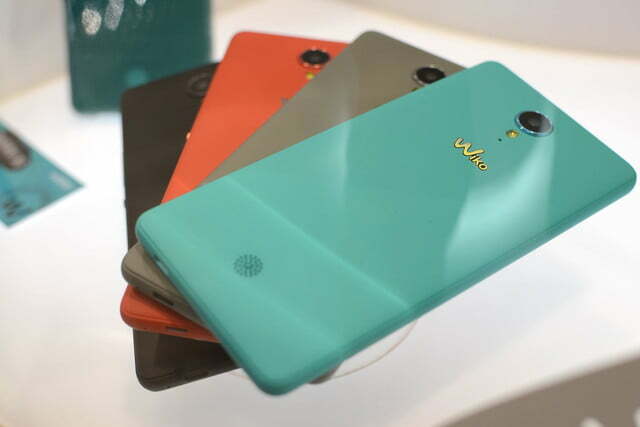 The Fever Special Edition is Wiko’s flagship device, and it has a retro, but still fun feature we can’t recall seeing on a smartphone: glow in the dark paint. The front and back frame of the Special Edition actually absorbs light during the day, stores it, and glows in the dark. It’s not a particularly useful feature, but it actually looks pretty stylish. 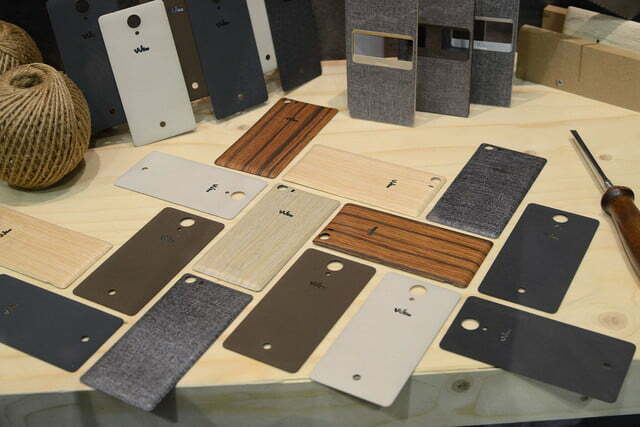 The company is touting the different back covers that you can swap out, which isn’t a new idea either — other companies like Nokia and Motorola have had similar options on some of their devices in the past — but with the Fever Super Edition, you’ll be able to choose from a fabric, wood, and brushed metallic finish options. It’s not a particularly useful feature, but it actually looks pretty stylish. From a tech perspective, it’s not too different from the previous iteration (Fever), and should work well for most people. 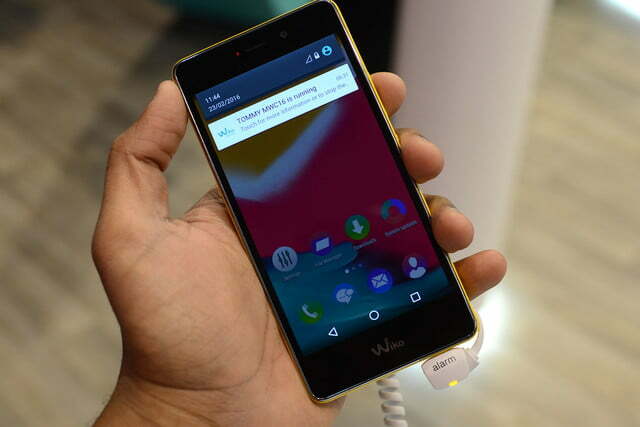 It has a 5.2-inch IPS LCD Full HD screen, an octa-core processor, 32GB of internal storage, and 3GB of RAM. If you need the extra space, it comes with a MicroSD slot, too. 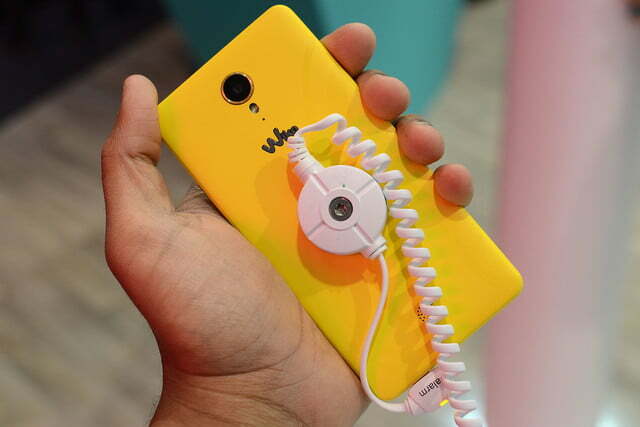 The camera on the rear sports 13 megapixels, and the front-facing one is 5 megapixel and has a flash. 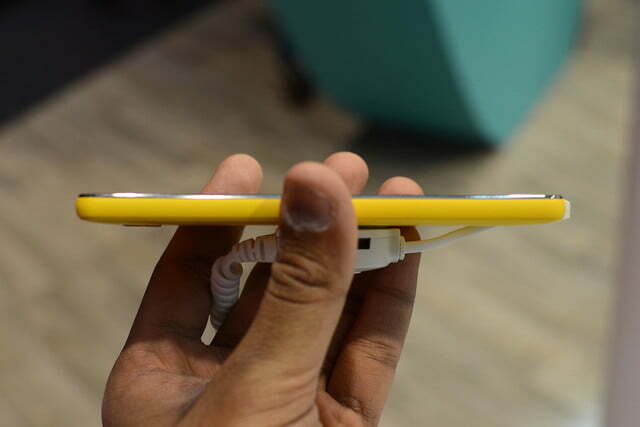 While it is the flagship device, it’s hardly as exciting as the uFeel. 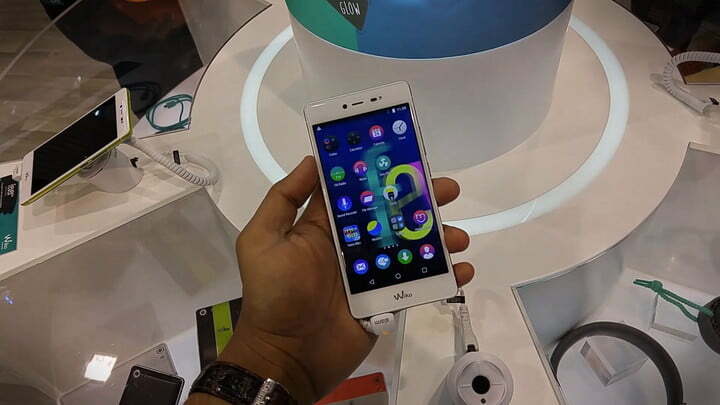 From what we saw at Mobile World Congress, Wiko’s phones had solid build quality, and look fairly good considering the price. 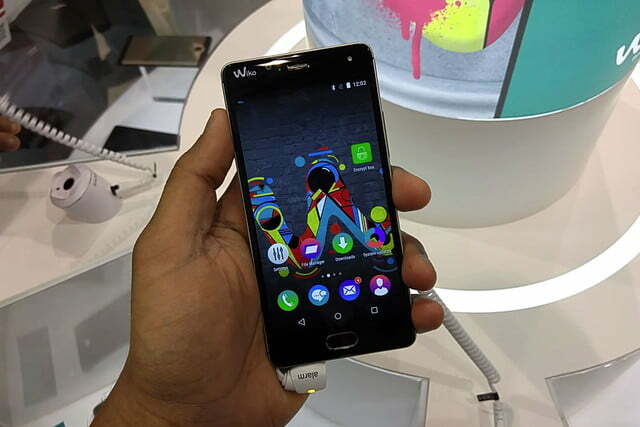 Wiko’s phones run Android, and its new devices will all run the latest version of Android 6.0 Marshmallow. 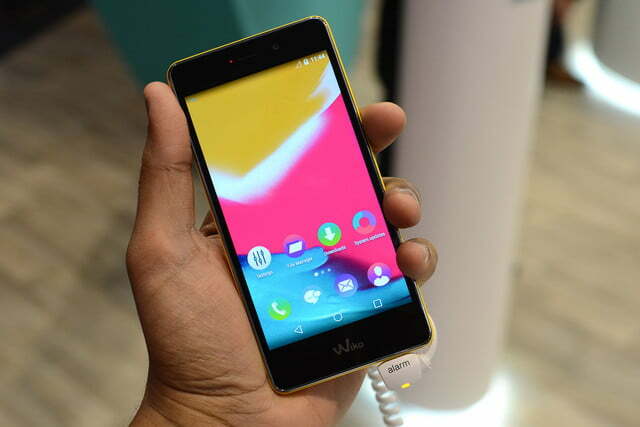 There isn’t a crazy weird extra UI skin on the device, but Wiko does customize the user interface with a few of its own apps and services. All the new smartphones I tried were incredibly quick at opening and moving through various apps. 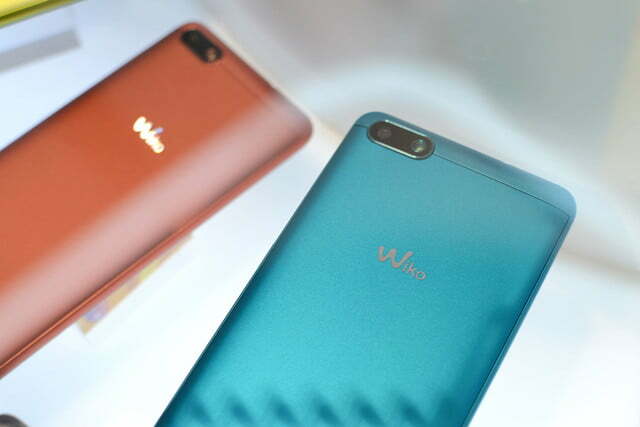 Wiko also added the Tommy, Lenny3, K-Kool, S-Kool, and the B-Kool to its new lineup of oddly-named devices, which will be available in April or May. The Fever Special Edition will cost 250 euros, and the uFeel will be around 200 euros, with the lite edition costing around 170 euros.